Hi and thanks for checking out our project, we can’t wait to bring it you! 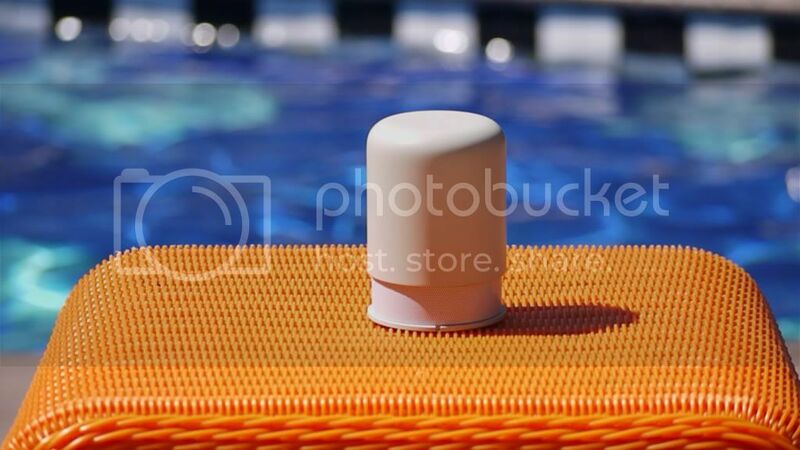 The HiddenRadio & Bluetooth Speaker is the simplest and most intuitive product ever. 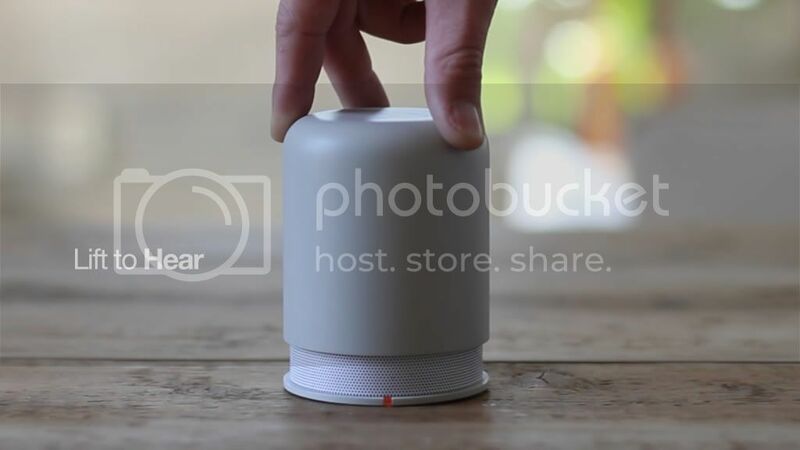 The HiddenRadio & Bluetooth Speaker is based off minimal, timeless design and user intuition. When asleep it hides all its functions, being silent and unanimated. To turn it on you simply twist and lift the cap; the further you lift the cap the more internal volume is created and will amplify to over 80dB of crystal clear sound. This unique design connects and captivates the user through its intuitive functionality. 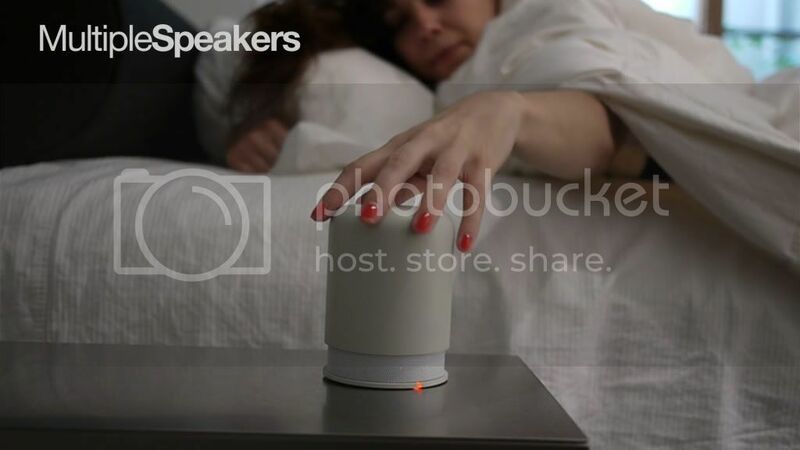 The speaker wirelessly supports iPhone, iPad or any other smartphone, tablet or computer via Bluetooth technology. If you have multiple speakers throughout your home, you can enjoy radiant sound, while seamlessly switching between them. Don’t have a Bluetooth device? It’s not s a problem: the HiddenRadio has a 3.5mm audio input plug that allows you to plug-in any device without Bluetooth functionality. We’ve also added a great built in AM/FM radio. The rechargeable batteries support a whopping 30+ hours of streaming music: easily enough for a weekend away or to get you through the busy workweek. We’ve tested it along side the leading products on the market and The HiddenRadio has excelled in both sound quality and volume power. We’ve spent 4 years and over $50k of our own money perfecting the patented mechanism. As the end result, The HiddenRadio holds the most powerful and clear sound within the purest, sleekest, compact form. We have a great factory already set up and we are almost ready to start production; we just need your help to get there. If we can pre-sell just 1000 units we can make it happen! The HiddenRadio is a clear simple answer to both classic, unobtrusive home decor and complete clear sound quality. We can’t wait to share this great project with you. With your support, when you see the HiddenRadio on the shelf of a retail store you will have the satisfaction of knowing YOU helped make it happen. Q/ How long will the batteries last? A/ The rechargeable batteries last over 30 hours. Q/ How will I know it will support my phone, tablet or computer? A/ Bluetooth is a global standard designed to work on any device. Q/ How loud is the sound? A/ We’ve tested it over 80dB, basically it will easily fill the space of a large apartment. A/ We are offering free global shipping only for Kickstarter backers! Q/ When will you start to manufacture? A/ Once we get to 1000 units we’ll begin production immediately. I hope you can help us bring this great product to market. Thanks a lot for stopping by and we hope you can support our project! You're awesome, really! Every dollar helps get us closer! You'll get a Hidden Radio micro fiber MP3 pouch and cleaning cloth. We’ll also send you an invite to our San Francisco or Milan Launch party + you’ll be listed on our website as a contributor. EARLY BIRDS Help us get the ball rolling! 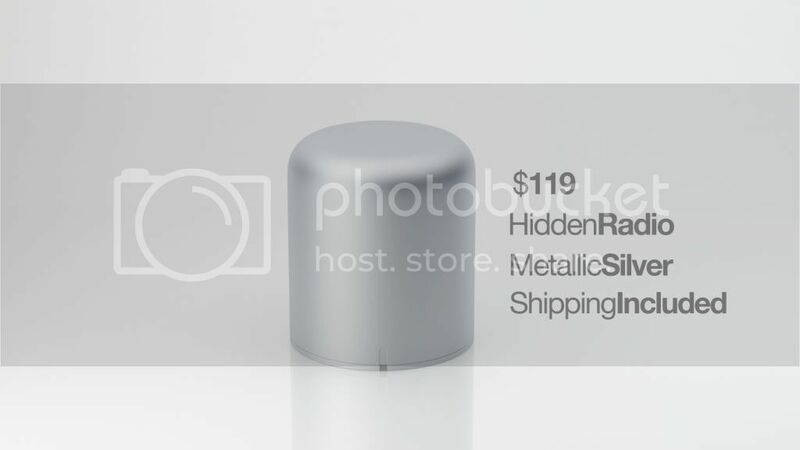 We will only be offering 199 Hidden Radios + BT Speakers in metallic silver at this discounted price. Be the first to get crystal clear sound in your home for only $99. At this discounted rate we just ask that you help us get the word out! 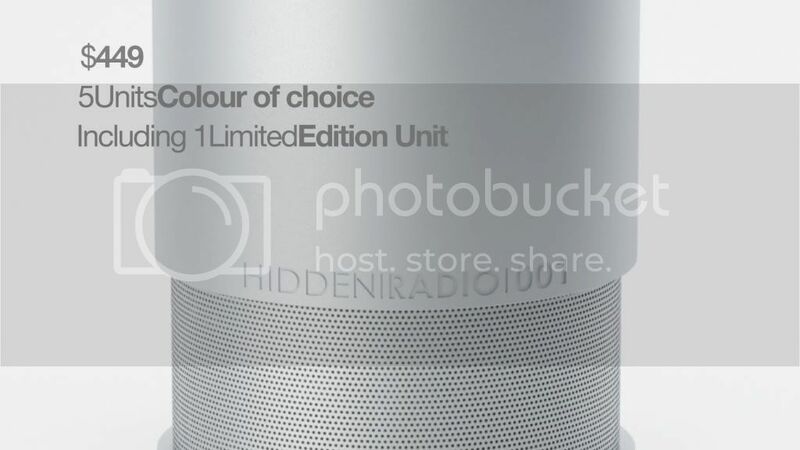 ON BOARD You’ll be one of the first to get the HiddenRadio + BT Speaker in metallic silver. This will normally retail for over $175 but you will be able fill your room or apartment with booming sound at a discounted price. 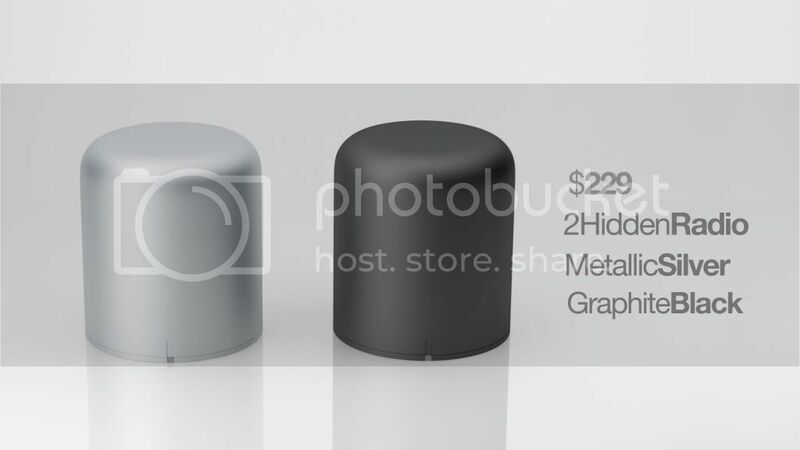 THE PAIR You’ll get two units in your choice of metallic silver or graphite black. 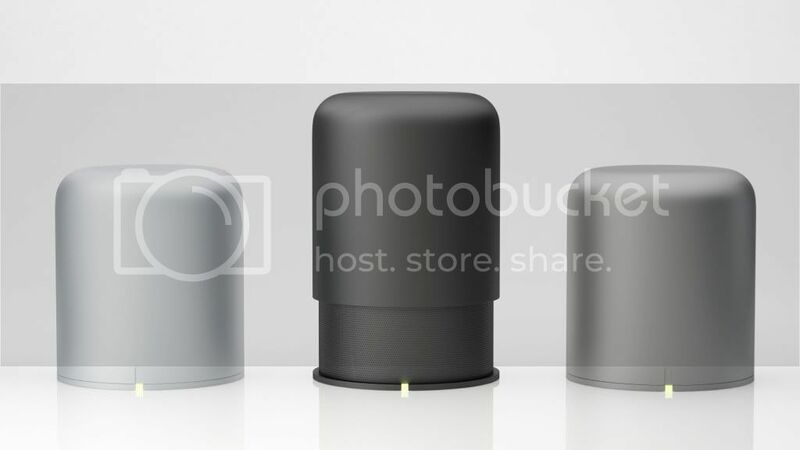 One HiddenRadio will fill a room with booming pure sound, two can fill a home. PARTY PACK you’ll get 5 units in your choice of color, including one individually numbered limited edition unit. ONLY for Kickstarter! With 5 units you can pass them to your friends or fill the house, patio, garage or wherever with great sound in a compact form! ONLY 100 units available! PARTY PACK II If you missed the limited edition pack you can still get 5 units in your choice of color without the individually numbered version. This is a huge discount as they will regularly sell for $175 each! With 5 units you can pass them to your friends or fill the house, patio, garage or wherever with great sound in a compact form! FREE global shipping included. SPECIAL EDITION WHITE you’ll be the first to receive 7 units in your choice of colors. Including a special high gloss white edition.